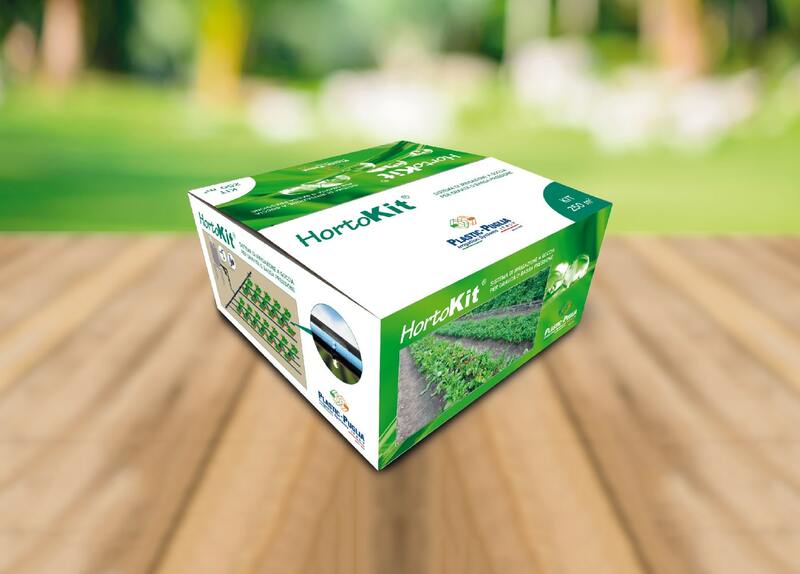 HortoKIT is a system especially designed for irrigation of small orchards, even when there is lack of pressure water sources. Its main feature is the making installations based on drip irrigation technology totally powered by water gravity. The Kit consists of a Brico Aquadrop coil equipped with a series of fittings and accessories that allow to create a complete drip irrigation system on surfaces of 250, 500 and 1000 sqm, on both flat or slightly scope ground. The items in the Kit have been designed to be for easy mounting and durability. It contains moreover, all the necessary instructions for "DIY" installation and correct use of the components. Ideal for irrigating all types of vegetables and cultivations. Designed for irrigating surfaces of 250, 500 and 1000 sq. m.
Gravity feeding with minimum pressure of 0.15 bar. Installation on flat ground or slightly sloped ones. The Kit includes all the components for the making of the installation.